For many exhibitors, the final preparation is coming to an end and the fun is about to start. But once you’re at the convention center, what’s next? Are you prepared to get the most out of the show while you’re there – and after?If you’re panicking because you haven’t even thought about how you can make the most of your time at the show and are just glad you’ve made it to Las Vegas in one piece, don’t fret! I’ve put together some top lorry tradeshow tips on how to make the most of your NAB Show before, during and after. So, relax. Put your sunglasses on and turn on Elvis’ Viva Las Vegas because have you covered! 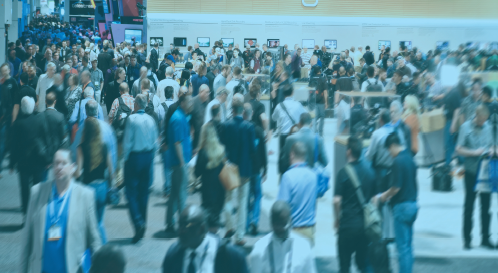 Whether you’re an NAB Show veteran or a newbie, it’s important to plan your meetings carefully so you’re not trekking from the South Hall to the Central Hall and then back. That’s when a scooter would come in handy! You can download the NAB Show Mobile App, which will help save you time and keep you organized during the busy week. You can view an interactive floorplan, find event highlights and sync with myNAB Show. The NAB Show App is available in the iTunes and Google Play stores. 2. Finalize messaging & materials. Good content matters. Make sure your marketing materials, promotions, PR and social media efforts (before, during and after the show) are up to par. They should be engaging, consistent and in line with your messaging and overall strategy. Do you plan on having video content at your booth? It might be a wise choice to subtitle any video content because tradeshow floors are LOUD. You’ll also want to make sure your media and analyst briefing books, media packs, and all other essentials for a successful show are finalized and ready to go. It may sound obvious, but proof read any materials again, and again. The last thing you’d want are typos. And double check it’s all there! If you’re bringing it out to the show yourself, consider splitting the load between you and a few colleagues – that way, if someone’s bag disappears you won’t lose it all. Make sure your team is briefed on your key announcements and story for the show. Give them a cheat-sheet to make sure they stay on track with the messaging and are all saying the same thing. Also, be sure you prep your spokespeople carefully. In press interviews, make sure they don’t solely focus on product features. Journalists will run to the hills. Remember the bigger picture and speak about industry trends. We have a handy top tips card for media interviews that we can share if you email us hello@rlyl.com. Throughout the show floor, you’ll find various stages and theatres where you can attend panel discussions, keynote presentations and sessions, like the NAB Main Stage (North Hall), IP Showcase (Central Hall), AI+Cloud Campus (South Lower Hall) and more. The Streaming Summit will explore the business and technology of OTT video. You’ll hear from more than 75 experts focused on real-world technical and business use cases. Cybersecurity & Content Protection Summit is a half-day event providing technology and business updates on cyber security and anti-piracy initiatives in the film, TV and broadcast industries. Some sessions will require a specific badge or conference pass, so make sure you have the correct credentials in advance. Prior to NAB, agree internally what your goals are. What do you want to achieve? Do you want to generate leads, promote new products, or create overall brand awareness, or are you launching a new product? How will your marketing materials and on-site activities help you achieve these goals? Whatever it is, be sure to set goals and measure their success post-show because it will help you plan for the next one. Having booth ‘assistants’ scan hundreds of badges doesn’t prove ROI – sorry. It’s also important to quantify the outcome and follow up with any leads and show meetings as quickly as possible. Remember, your NAB presence should be an integrated, well-coordinated effort. Now, don’t think staying glued to 6 your booth meeting people counts as networking and in-booth drinks counts as socializing. I mean, yes that’s what you’re doing, but you should really try to step away from the booth. If you stay organized (see tip #1), then you can take some time to walk the show floor to meet new industry professionals. Take advantage of the opportunity to make new connections and see new technologies and innovations for yourself. Community mixers bring together a broad variety of professionals looking to connect through idea sharing, learning and networking. Silver Social Happy Hour is where you can go to end your say with networking, an open bar, snacks and entertainment (tickets are $20). Streaming Summit Beer Garden Reception is where you can join Dan Rayburn and other Streaming Summit executives for drinks and networking. 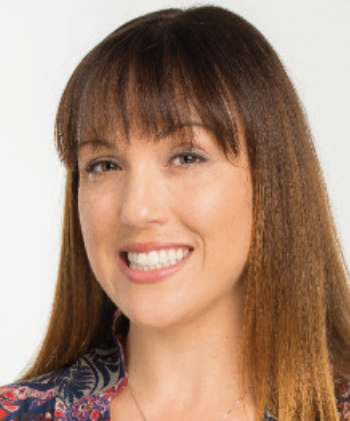 And, of course, there is a full schedule of IABM events, including the Voice of the Customer session on Sunday, State of the Industry Breakfast on Monday and BaM Awards® party on Tuesday – more details here. So that’s it. You’re officially ready for Las Vegas and NAB Show 2019 – right? See you at the show!